Inspired Iron brings old iron hand forging techniques to the 21st Century homeowner who demands the very best. It is our mission to not only lead the market with our cutting-edge designs, but to exceed the expectations of our customers by providing truly hand-crafted American-made iron chandeliers and architectural pieces. We believe in designing and delivering bold, inspired, and originally unique pieces to withstand time. These products provide your home or project with new pieces that will command attention throughout the years. Our company began in 2000 as a small shop, specializing in one-off, custom iron products. Because of the growing demand for high quality iron lighting, we designed a product line of chandeliers and other pieces, very unique to the lighting industry. Many of our clients use this product line as a starting point for creating the 'perfect' custom fixture for their project. Each fixture is 100% hand-crafted in the United States with current lead times around 8-10 weeks. Inspired Iron serves the hospitality industry, residential, commercial, interior design and architectural firms, as well as privately owned lighting showrooms. We produce quantities from one to hundreds with the ratings and specifications your project requires. Feel free to reach out to us, we would love to hear from you! A well-lit home is essential for both functional and aesthetic reasons. Lighting designers will analyze your Richland, WA home's layout, structure and needs to create an effective lighting plan throughout your home. Though electrical engineers or interior designers can take on the task of outfitting your home with the appropriate lighting, a professional Richland lighting designer explores lighting as a technique. Think about how you plan to use each area of your Richland, WA home. It's important to communicate to your Washington lighting designer which space will be used as an office and which will be a media room, for example, as these will require very different lighting methods. In addition, consider how you'd prefer to control the lights. Lighting technology today includes dimmers, sensors, photocells (that let lights react to the amount of daylight in a space), programmable scene controls (that let you program different settings for varied lighting) and whole-house lighting controls (that let you control all or a portion of your home's lights from one source), allowing you to tailor your lighting controls however you wish. Find a lighting designer on Houzz. 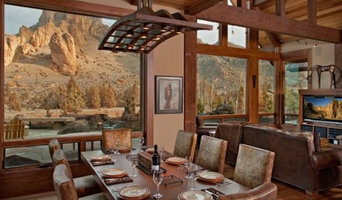 Narrow your search in the Professionals section of the website to Richland, WA lighting designer. You can also look through Richland, WA photos by style to find a lighting design you like, then contact the designer.